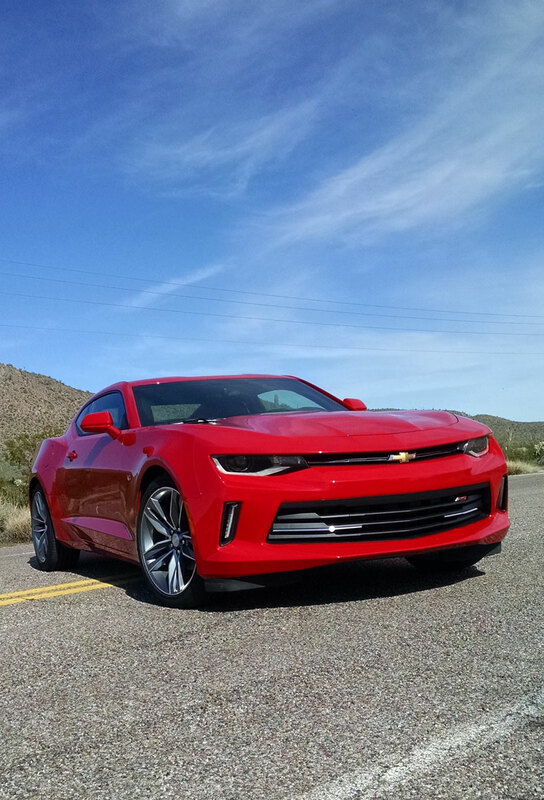 In our first drive of the 2016 Chevrolet Camaro, we tested the mid-level 3.6-liter V6 variant with a manual transmission and the up-step RS package. 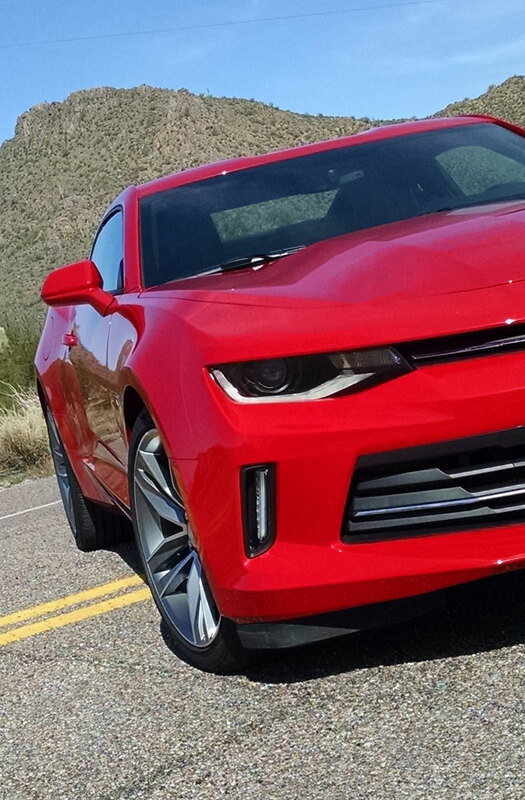 Was it disappointing without the V8 snarl of the SS? Not in the least. 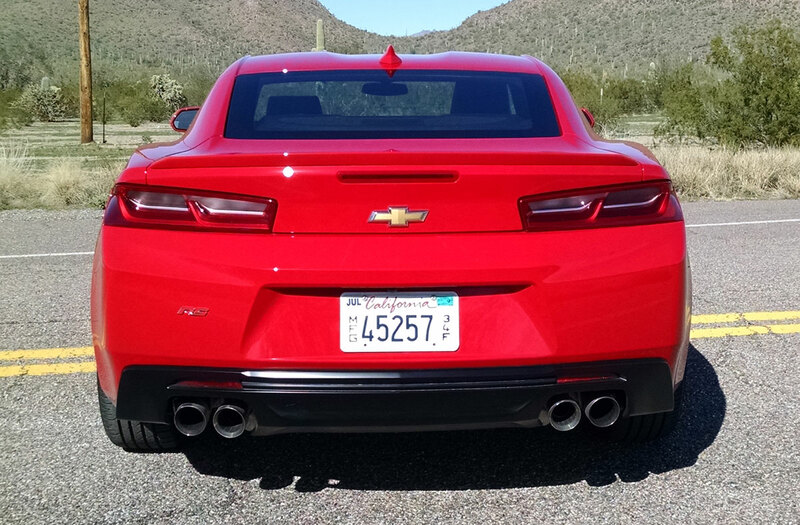 The 2016 Camaro arrives this year all-new from the ground up, though it remarkably comes across nearly identical in styling and character to last year’s model. 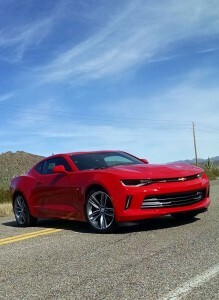 Make no mistake though, this new Camaro has been to the gym and is now more fit than both its competitors Mustang and Challenger. It comes a bit smaller this year with a wheelbase of 110-inches, shorter by two just like its length now at 188-inches. It’s an inch lower to the ground and an inch narrower. Most important, this one you see here weighs almost 300 pounds less than last year’s comparable model. Our tester here is a Red Hot 2LT with the optional 3.6 liter V6 and RS Package which gives it these larger 20-inch alloy wheels with run flat tires. 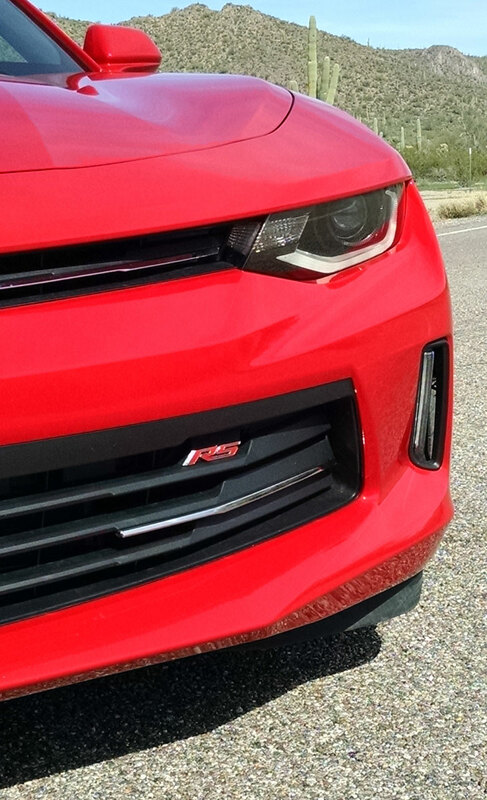 The package also upgrades you to HID headlights and has unique front grilles. At the back, the RS gets a rear deck spoiler and LED tail lamps too. Our tester also had the dual mode exhaust system which has some healthy looking exhaust tips out back. All together it really comes across as a nice presentation I think, to say the least. 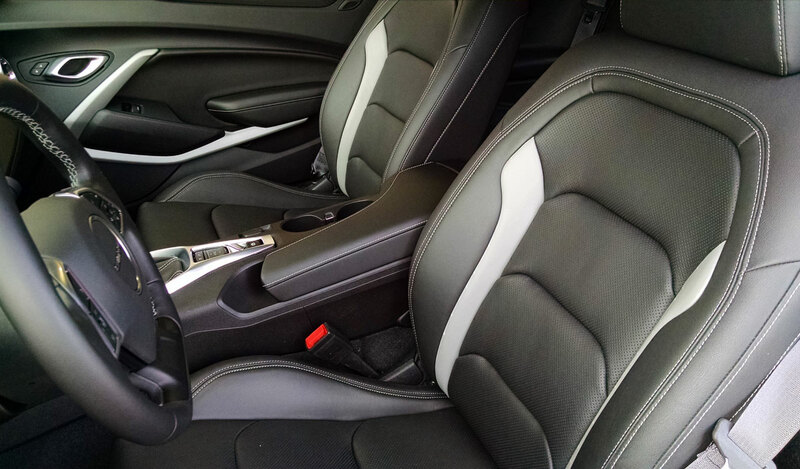 The interior of the 2LT is on the higher side of trim grades with heated and ventilated leather seats up front, both power operated. 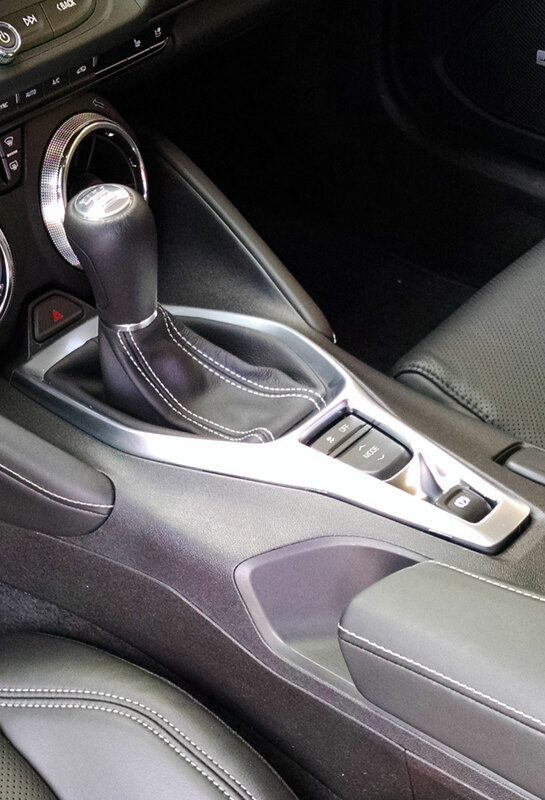 Leather also wraps the shift lever and steering wheel, though that’s all but expected anymore. 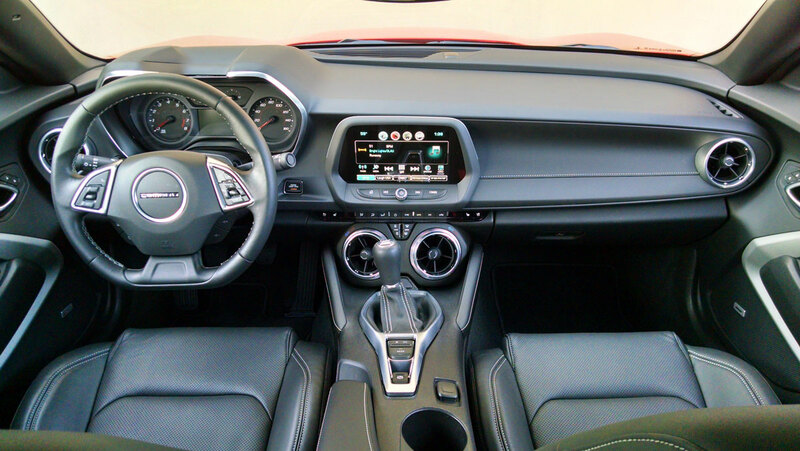 Its center stack is simplified over the last generation with a large touchscreen audio and infotainment system front and center. Here it has the top-end Bose audio with MyLink and Apple CarPlay capabilities and OnStar 4GLTE WiFi services available. I like that it retains hard controls like a volume knob and other routinely used functions. Below it HVAC controls are simply laid out with the large vent rings innovatively doubling as your temperature controls. You just turn them for hot or cold. It’s brilliant. The last big thing as we move down the console is that an electric parking brake now takes the place of a large and in the way lever. 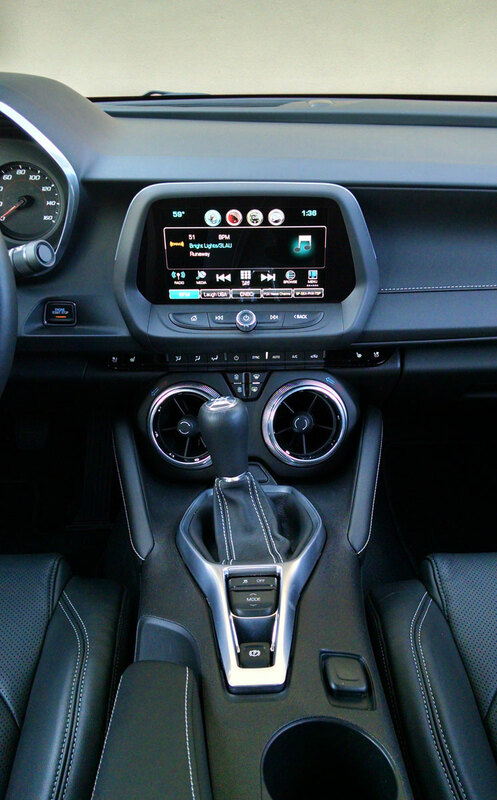 This cleans up the space and makes for a better layout of cup holders, though there is still no place for a smart phone to lay and the console storage is minimal at best. Outward visibility is surprisingly good given its low roof line and gun slit window openings. The seating position and design of the hood line contribute to a decent view out in all directions. 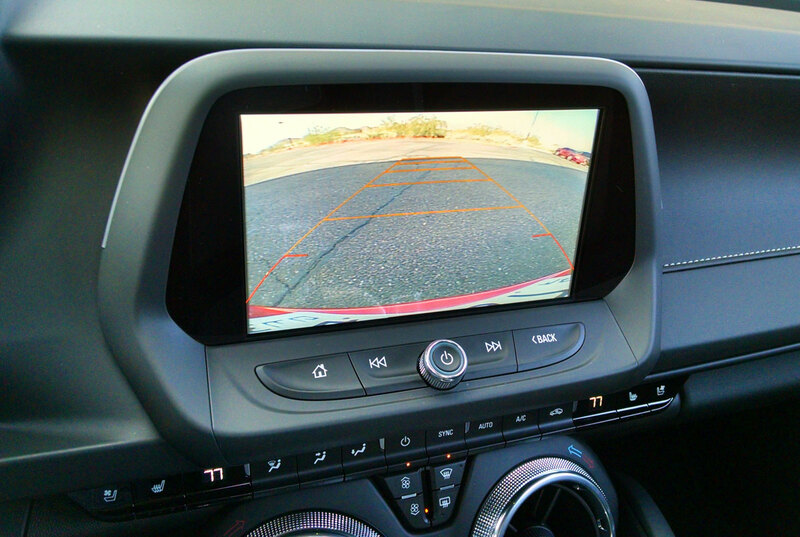 A large screen and rear view camera help when backing up. 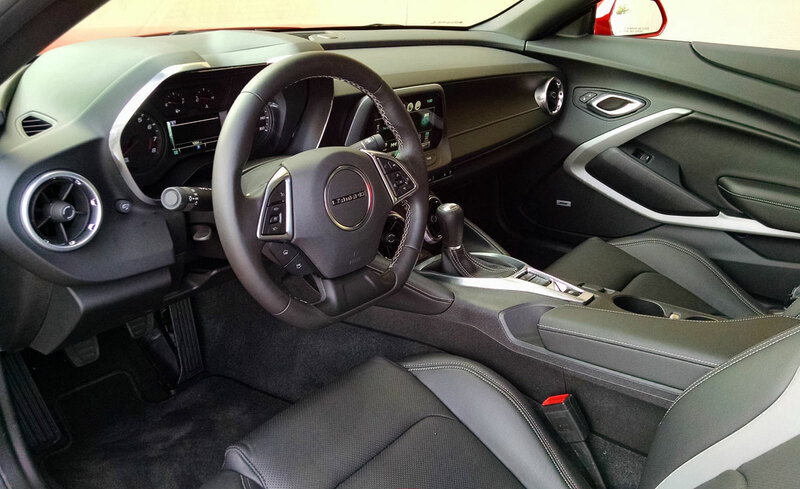 The interior was comfortable in spite of it being slightly smaller, at least up front where the seats had excellent adjustment range and were supportive and good for long drives. The rear seat like its competitors is for emergencies or small pets however. 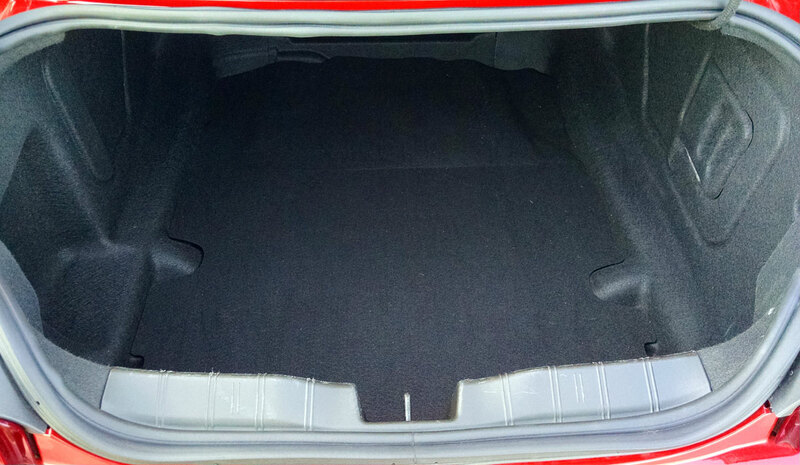 Trunk space is reasonably good, but like before the opening is small so you won’t be getting a lot of large things in and out of it. You certainly don’t don’t need to worry about lugging a spare tire in and out as there isn’t one. And if you wanted a spare, there really isn’t room for it either. 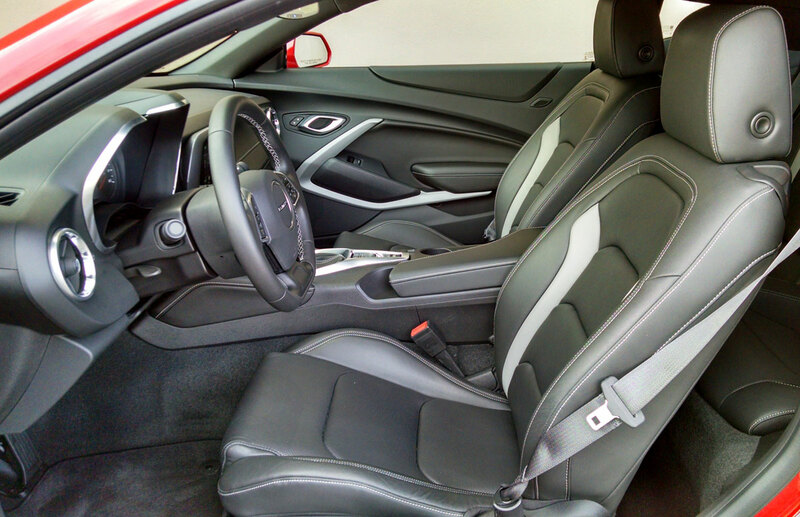 Overall I thought the interior was well put together and class leading in terms of material quality as well as fit and finish. It’s short on storage and practicality, but that isn’t the point of this car. The interior earns 4 of 5 stars. On the technologies front, the new infotainment system is reasonably easy to use and I though the audio quality quite phenomenal. It has Apple CarPlay which is good, but not Android Auto capability yet. It earns 4 of 5 stars. 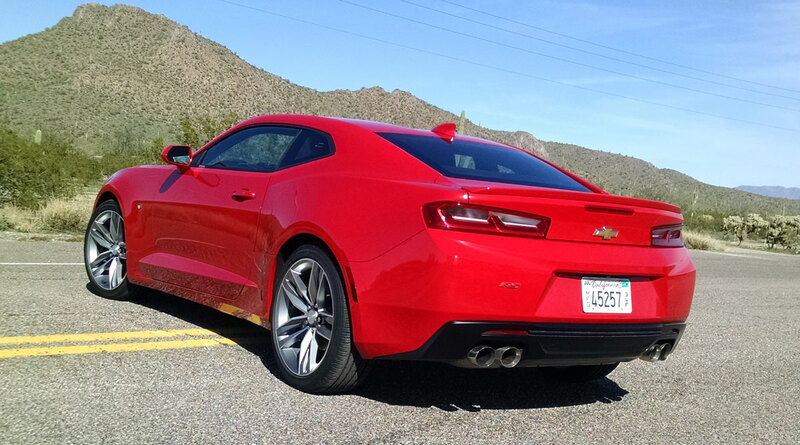 While I would have loved to drive the SS with the 6.2 liter V8, under the hood of ours was the new for 2016 3.6 liter direct-injected V6. 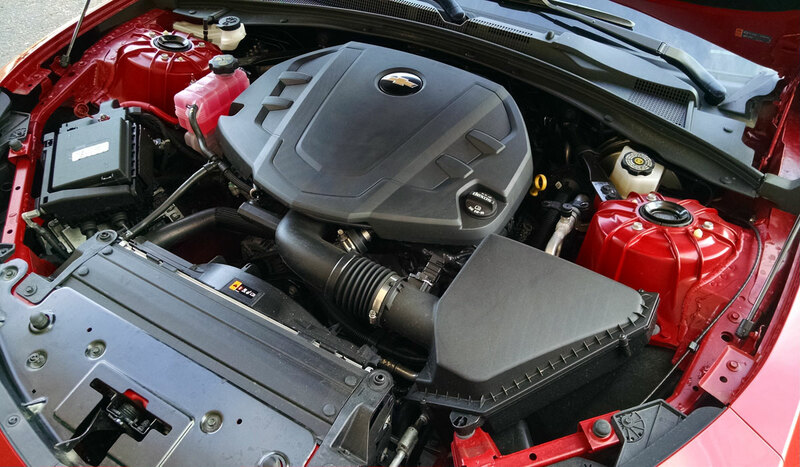 The same engine found under the hood of the Cadillac ATS and other GM vehicles, here it has 335 horsepower and 284 pound-feet of torque. 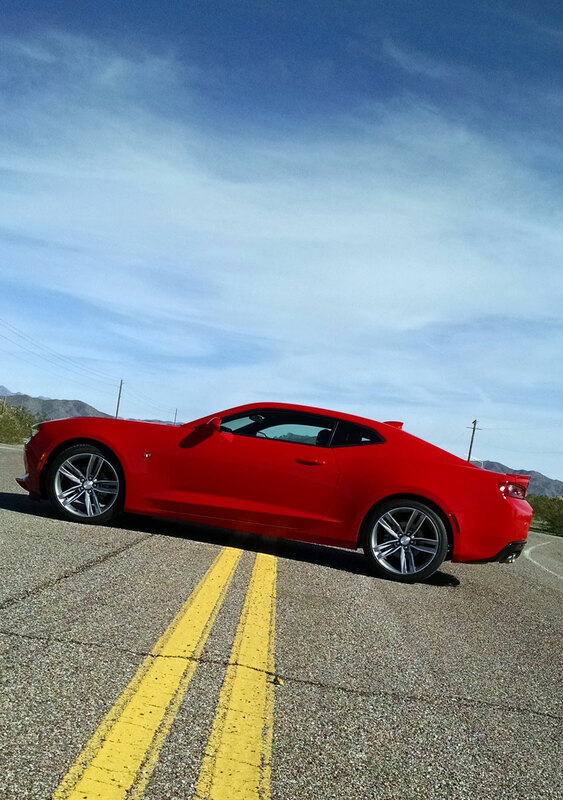 Firing up the V6 engine brings a much louder than expected rumble due to the optioned dual-mode exhaust system. 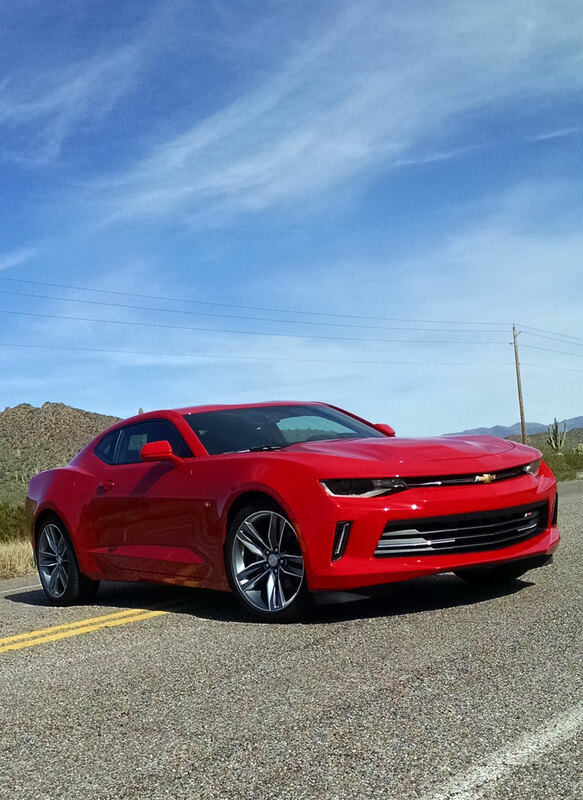 It’s definitely more raspy and raucous than you’d expect from what many might pit as a rental car engine. Dropping the hammer and revving it to its 7,000 rpm redline was my first awakening that this engine is no slouch, no disappointment, or anything you can call “settling for less”. It’s got a kick in the back power band that does require high revs. But you’re gonna want to. The sound this engine produces is pure music to the ears, unlike the V6 engines in competitors Mustang and Challenger. 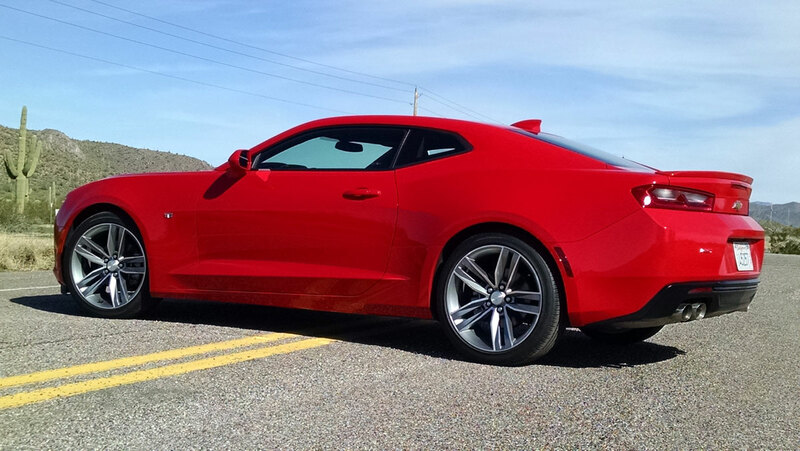 It’s a gem that loves to rev and play, and has a decidedly throaty growl from under the hood and from its exhaust. 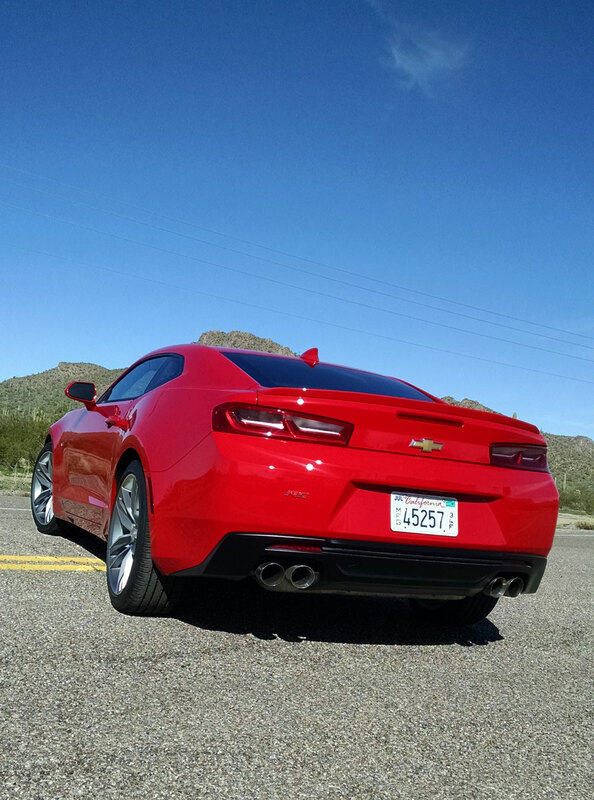 As to acceleration, we didn’t do instrumented tests but Chevrolet says 5.1 seconds to 60 mph which is backed up my many other media outlets and my seat of the pants. It’s not as fast as the V8 obviously but most won’t be all that disappointed with its fun factor. 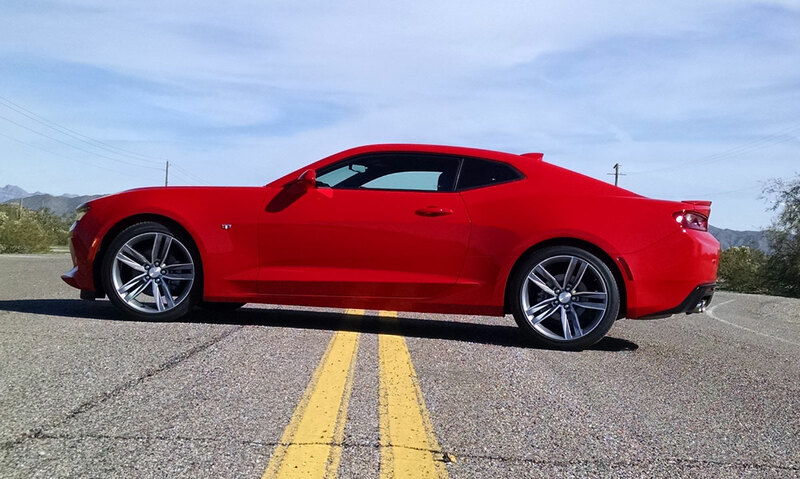 Fuel economy for the V6 and manual transmission is rated by the EPA at 18 mpg city, 27 mpg highway, and 21 mpg combined. I easily achieved 22 mpg in my daily drive cycle of city and highway, before this video shoot where you as can imagine it plummeted into the teens. None the less, this is a 5 star powertrain in my eyes and ears. 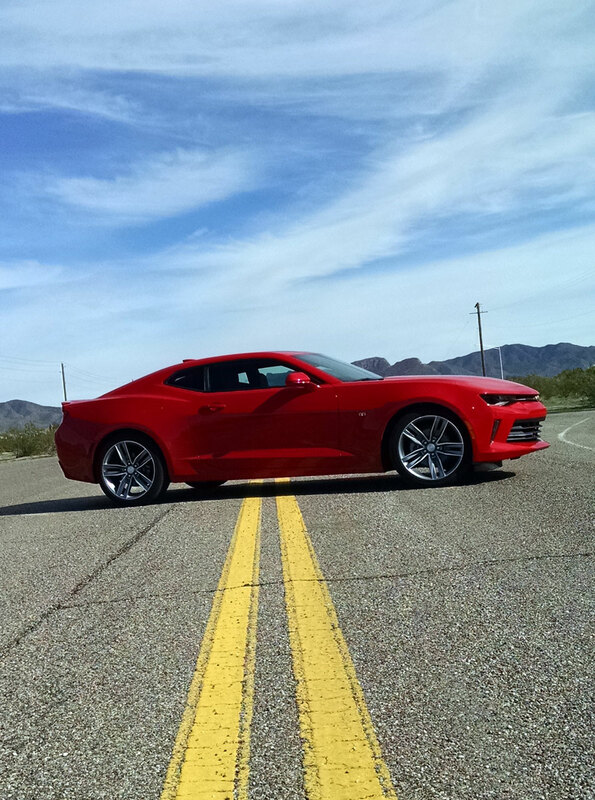 Throwing the Camaro around on our favorite back road was an experience of nimbleness, precision, and agility. 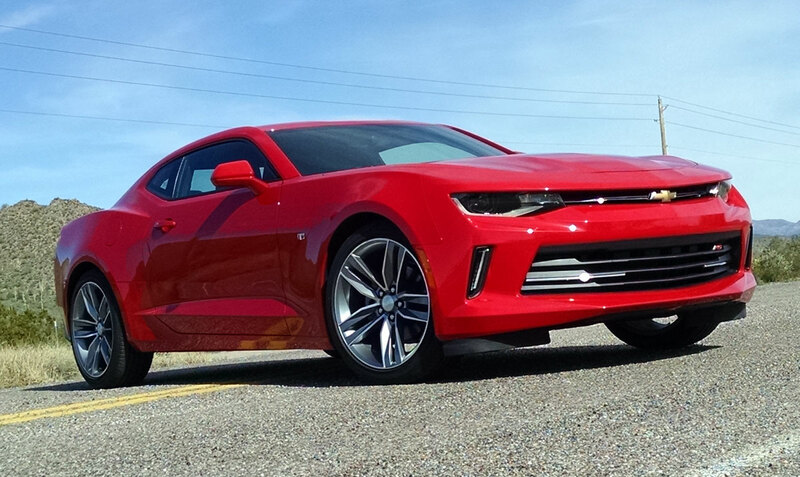 This Camaro feels smaller and lighter in how it turns, how it brakes, and how it lays itself into a curve. 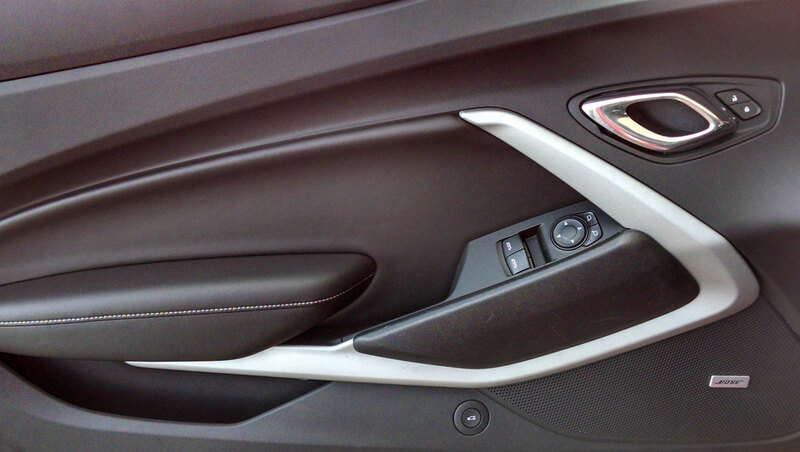 The refinement and precision is dare I say it approaching levels you expect from a BMW 4-Series. Yes, it’s that good. 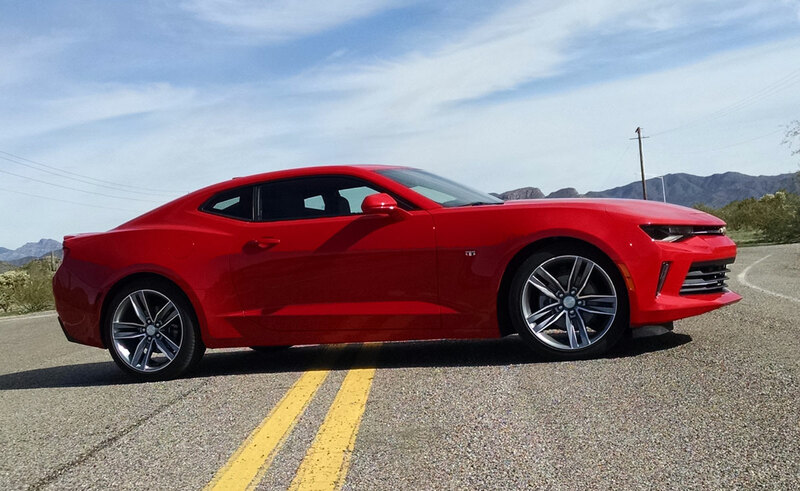 Gone is the heavy tank response and clunkyness the old Camaro and the current competitors offer. This is different. 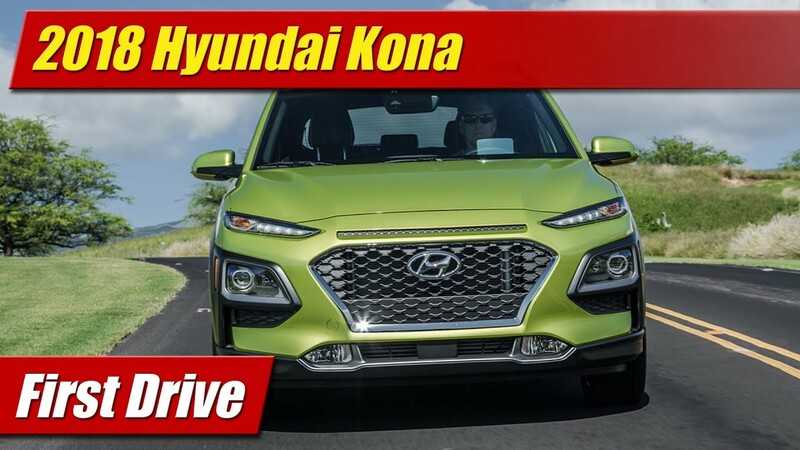 Much of this agile goodness is attributable to its lighter and trimmer chassis, but its hardware like a dual ball joint front suspension, variable ratio steering and multi-link independent rear suspension all do their part. While its worth noting that the SS is available with the Magnetic Ride Control adjustable dampers I really thought the you get it one way or the highway tune of this car was dead nuts on the money. It earns 5 of 5 stars in the chassis department. When it comes to overall quality I have to say I’m impressed. Being a long time Ford guy at heart I looked hard for things to pick on here, but honestly couldn’t find much. Body fit and panel aligns are very good and all through the night not a rattle or squeak could be heard. Quality feel comes in at 5 of 5 stars. 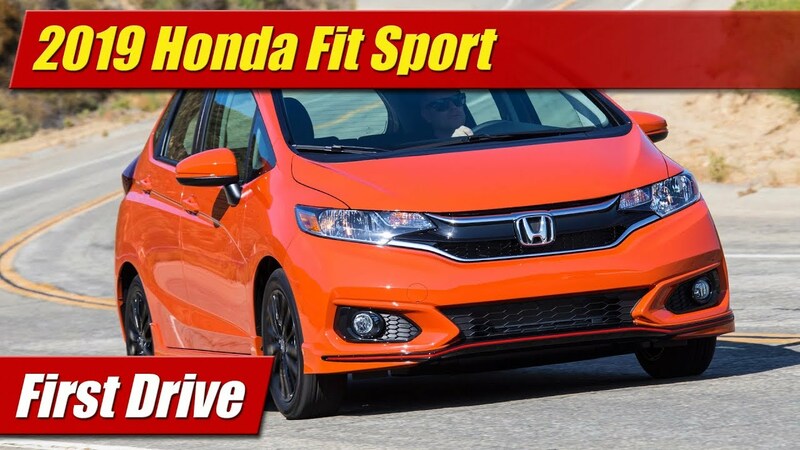 Priced at $35,150 the value equation rises high as this car I feel can truly be compared to the fun to drive character and agility of the BMW 4-Series. No it isn’t quite and refined and polished but it’s every bit as exhilarating to drive, and just as price in doing it. 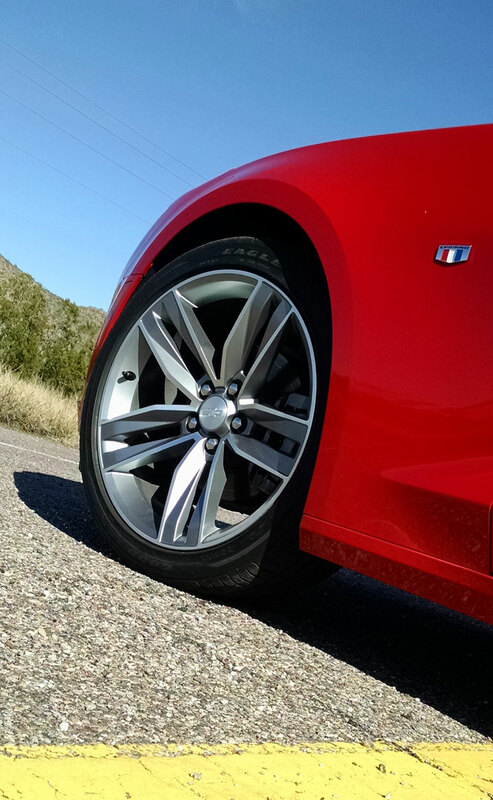 This puts value at 5 of 5 stars, our total test drive review score at 4.5 of 5 stars. And, it goes on our TestDrivenTV “Id Buy It” list. It’s that good.